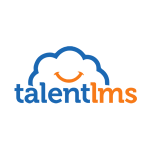 TalentLMS is a cloud-based learning management system (LMS) that allows users to train employees, business partners, and customers. It is fully customizable, mobile-ready, and enables users to build e-learning courses in minutes. In this article, we cover user reviews and pricing. Ready to try TalentLMS? Start for free. Users who gave TalentLMS a positive review said that the software is easy to use. Many users also like that the platform integrates well with social apps and that it is fully customizable. Users who gave TalentLMS a negative review commented that its user interface looks outdated. Some also mentioned that the software’s text editor needs to be improved. One user who left TalentLMS a negative review on G2 Crowd said that it is very difficult to create different gamification rules. She also cited that content creation would be easier if its editor feature had a drag-and-drop functionality. TalentLMS has a free plan & two paid subscription types, each with several plans: Standard (ranging from $39 to $459+/month) and Unlimited (ranging from $109 to $499+/month). The main difference between the plans is the number of active users per plan. Unlimited plans allow users to have additional active users per account, which costs $4/extra user. Ready to try out TalentLMS? Start for free. 5 Best Learning Management System (LMS) 2018 — Choosing the right learning management system for your small business can be difficult. In this guide, we reviewed five LMS providers for small businesses to help you in making that decision. Does my plan price include free customer support? Yes. All plans include free customer support. Users can create a support ticket directly from their learning portal’s dashboard. Yes. Users can upgrade, downgrade, or cancel their plan anytime. For canceled accounts, users would still be able to access their portal until the end of their billing cycle. Not sure if TalentLMS is the right fit for you? Read our reviews of all top learning management system (LMS) providers or check out one of these three TalentLMS competitors. TalentLMS is a cost-effective, scalable platform for an eCommerce customer training platform. Their support is always friendly, and the product is feature-rich. The plans are also super flexible (you can go up or down mid term and the difference is simply applied to your ongoing balance). There are some little quirks in the functionality, but I have no major concerns with their offering. There have been no red flags or anything that makes me regret our decision to choose TalentLMS. In fact, the product has been updated with several new features that actually improved our usage. The tutorials, as well as the number of examples LMS modules, led to a straightforward and satisfying experience learning how to use the platform. End users of the learning modules don’t feel very accomplished, from our small pool of users. If the LMS was gamified, ala Duo, users could feel more satisfaction from their learning module completions. Provides interactive training for people all over the world. It saves us time and money and is very easy to use. Some things aren’t as intuitive as they could be. Nothing. We did the free trial and were able to test everything we needed. A good platform for internal training with final exams. 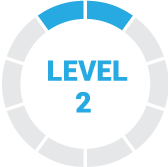 The gamification feature is funny and stimulates our employees to follow the courses with more attention. For our customers, the possibility to add some videos in the same course, it helps us for training them on our solution. I have no complaints about the product. The documentation is complete and also the technical support is ok.
We tried the software before the purchase, the trial had all the features available and this allowed us to do a thorough evaluation. I don’t receive any bad problems during the practice. All devices work well with this platform so I don’t have any issues with this product.